how did you remove suspenders / place them underneath the shirt? My favourite outfits are his Grunge style ones from Chapter 2. They're really underrated compared to the usual Shotgun Coat and Hat getup. But I don't have one..
Me too, but what else is there for us? They don't want to give you content with a price tag. Why? Because If they did, it would have to be good content and worth the price or people would justifiably complain, BUT most importantly, you can only buy it once, WHEARAS if they keep shoveling out bullsh*t and pushing microtransactions they can get people to buy over and over and over and over and potentially make 10x the profit. Only thing we get is his hat, his bank heist pants, his bank heist pistol belt and holster, and a rip off version of his gang belt. Ok I stopped playing online a long time ago so it's time for me to install V 1.00 but I'm playing other online games, I will have to remember to remove the update each time I load the console ? 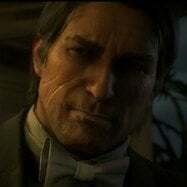 Is it possible to keep the 1.00 with online and just remove connexion when I want to play RDR2 ? Yes if you mean play any other online but play RDR2 offline. nice editing. but honestly, I would like that his hair is added in the game, but not in the barber's 'styles' menu. instead, it would be applied if you choose not to take care of your hair and just let it grow until it reaches level 8. it would act as opposite of pomade hair. of course, then you could be able to trim it at home. 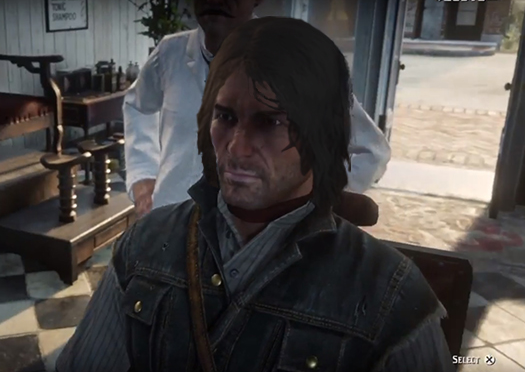 but if you go to the barber, you'll be only able to choose Arthur's 'slick' hair styles, or decline cutting the hair and leave barber shop. 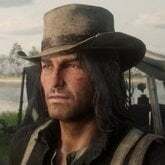 I would prefer his hair to be shorter like in rdr1 than his longer one from chapters 1-6. The fact that the support manager (a higher-up) has said they will pass it onto the developers personally means it's top of their priority. They are probably working on it as we speak. Well then tell hin we need a sp dlc? What about director mode? Online guns to single player?? If we could reach them then why not try! Maybe over time? Or maybe they are waiting for rdr1 remastered since they are already there? The online content should be mandatory added to singleplayer. Theres no doubt about that. 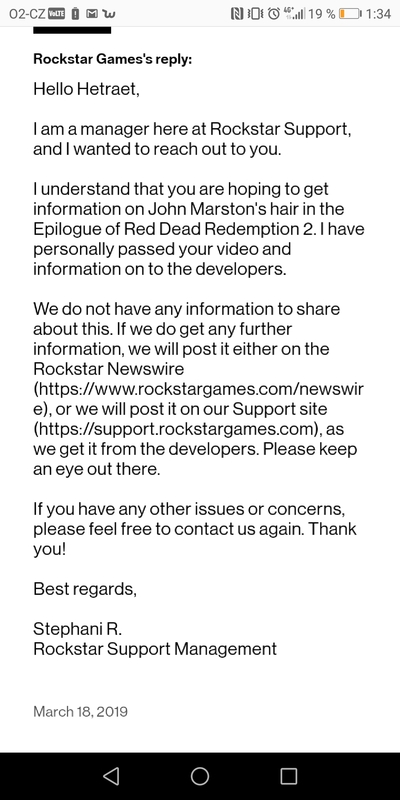 Story DLC is what the majority of the Red Dead fanbase wants and Rockstar clearly knows we want it since it's mentioned in every Twitter post and feedback. 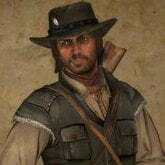 Hopefully we'll get something like Undead Nightmare 2 this year. anyone see the ugly designs they added to Johns winter jacket online?